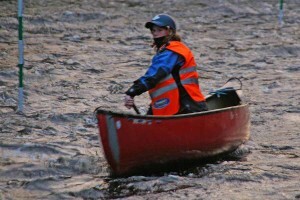 Last Friday evening four hard-core paddlers, packed up and set off on the 3 hour trek to the Share Centre with some beautiful snow showers, rain and blowing a gale. Catherine and I arrived, followed by Mary and Jonathan. A few beverages were had, (it would have been rude not to). 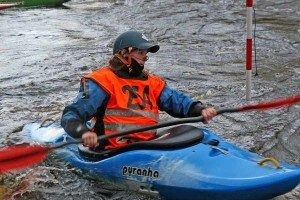 After last year’s success at the slalom it seemed the athletic thing to do. 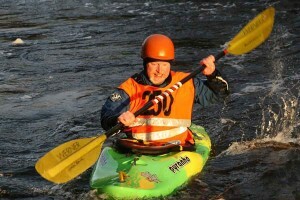 Meanwhile plans had been made to meet Shooter the next day at Ballyconnell for some paddling. Saturday morning arrived, as did Dave and after a small lay in, breakfast and a few paracetamol we kitted up and headed to the river. Ballyconnell was carrying a fair amount of water but it was a great level. Mary, Shooter, Catherine and I all headed for our first run in the Open Boats. This was Mary’s first solo white-water run. Dave and Jonathan stuck to the kayaks and joined us on the way down…. Jonathan even managed to get his hair wet in the first 3 metres 😉 but carried out a successful roll. 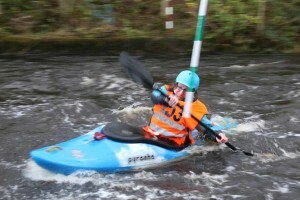 Shooter took a bit of time to show her expertise and give Mary a few top tips on ferry gliding and breaking in/out while slagging setting and encouraging the ‘kayak turn’ in the open boats…. (This is shooters thing she doesn’t like the idea of slow and steady wins the race). 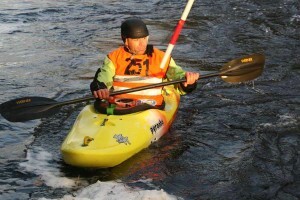 We all had a successful run down, a few swamped boats at the big wave but no swimmers. Mary completed a great run down on her first solo trip and then joined shooter for a tandem run. Meanwhile Catherine and I had ditched the Open Boats for the kayaks and joined Dave and Jonathan on another run followed by some synchronised seal launching. Then it was back to the Chalet to check on the stew that was prepared before we left. Back at the chalet we all picked at seat and didn’t move too far… just the occasional visit to the fridge. John then arrived for a brief minute before heading to the Paddle 4 Sport meeting while we all sat down to a feed of stew (for those who don’t know, that’s with the spuds in it) and either HP sauce or Cheese on the top ( if you’re from Cloughmills). Later on we played host to UUJCC, plenty of laughs were had and paddling stories told in between someone in particular’s ‘Rear End’ claiming the topic of conversation…. The final visitors were shown the door at 1.40am as we had a race to take part in in the morning. Sunday morning arrived…. 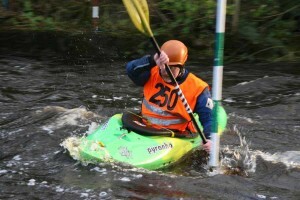 Earlier than we wanted.We all set off to Ballyconnell, Catherine and I entered the Div 3 Senior Ladies Kayak, Jonathan and Dave entered the Div 3 Mens Masters kayak, and Catherine, Mary and I entered the Canoe Race. The slalom event went very well, it was quite difficult with the tight gates and a change of course but we all made the most of it. off well but a rock on the second corner caught her out and she took a swim, as a result and in the words of JW ‘the ranger is in Hospital in a critical condition’ but Mary was ok which was the main thing and is getting ready for the Mourne Race as we speak. 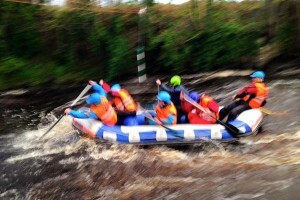 Finally the raft race, Catherine and Alan took to the raft with the UUJCC crew as both clubs didn’t have enough members to do a raft each, they had a great run down, gold medal run in fact, even with Alan braking for most of the journey. 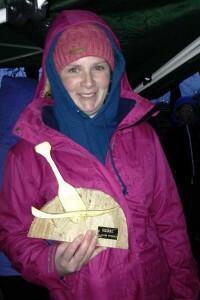 I returned home with a 1st in the Senior Ladies Slalom and 1st in the Canoe Race. 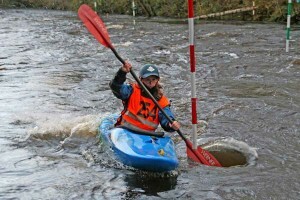 Catherine’s returned with a 1st in the Raft Race and a 4th place in the Senior Ladies Slalom. 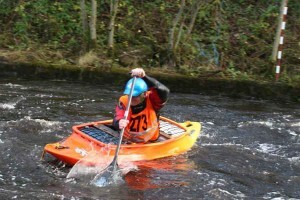 Dave finished 4th in the Men Masters Slalom and Jonathan 6th (I think if I’ve read results correctly) What a fantastic weekend had by all, highly recommended for next year so get it in the diaries folks.